I’m feeling a bit stiff after yesterdays walk, but will be OK after getting into the rhythm of daily walking. I start at the sealife centre at Scalby Mills. There are quite a few people with binoculars and telescopes trained on the sea and rocks. I’m not sure what they can see. 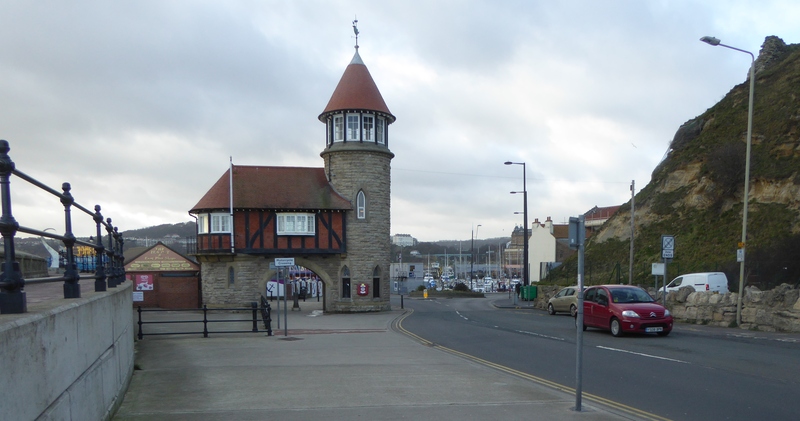 The walk to Scarborough North Shore is straight forward along the promenade past brightly coloured chalets. I pass the Light Railway which is closed that takes you to Peasholm Park. Nearby is the Open Air Theatre which seems to have quite an impressive events list. The Castle and headland separate Scarborough into two halves. Anne Bronte died at the age of 28 and is buried in the graveyard at St Marys Church near the castle. I walk along Marine Drive around the headland to the Toll House and the harbour. I meet up with my wife and daughter at the Spa Centre and they walk with me for the rest of the day. We stop at the Star Disk on South Bay. There are fibre optic light set in the ground that depict the brightest stars in the sky. It also marks the position where the sun rises over the North Sea at different times of the year. We stop at Cayton Bay for our lunch where some students from York University were doing some filming but our services were not required. We continue on past Lebberston and Gristhorpe Sands to Filey Brigg, a peninsular or spit of land that extends out into the North Sea. You get lovely view of Filey and the coastline. 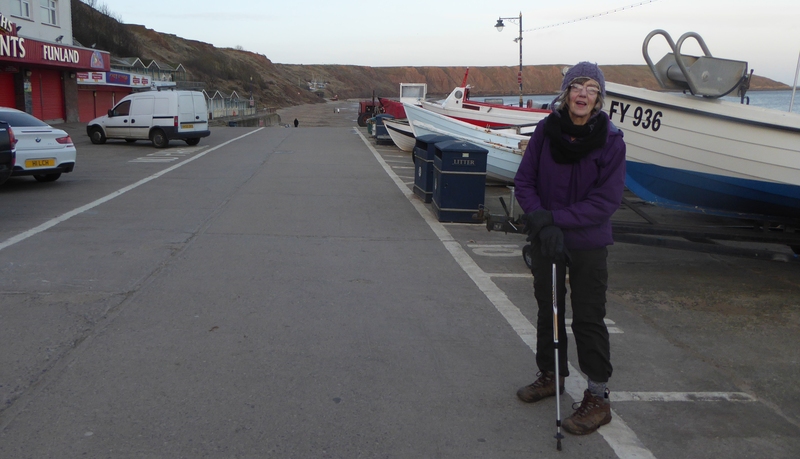 We walk into Filey By the harbour where most places were closed. On the cobble is a giant sculpture of a fisherman called “High Tide in Short Wellies”. After a couple of photos we walk the sands as the light is fading to Hunmanby Sands where our rented cottage is. This entry was posted in England, North Yorkshire and tagged Coastal Walking, England, Filey, Scalby Mills, Scarborough, Walking. Bookmark the permalink.